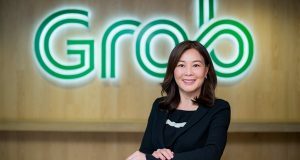 Grab Holdings Inc. (Grab), Southeast Asia’s leading O2O (Online to Offline) mobile platform, announced on Wednesday it has reached an agreement with Toyota Motor Corporation (Toyota) under which Toyota will invest US$1 billion in Grab, as a lead investor in the company’s ongoing financing round. 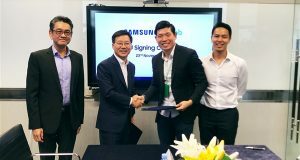 As part of the agreement, Grab and Toyota will strengthen and expand their existing collaboration in the area of connected cars, to drive the adoption of new mobility solutions across Southeast Asia. The transaction is subject to the satisfaction of certain closing conditions, it said. 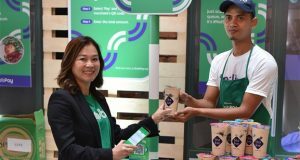 As the leading mobile O2O (Online to Offline) platform in Southeast Asia, Grab said the investment allows it to further expand its range of O2O services, such as GrabFood and GrabPay, deeper into the region. Grab operates in 217 cities across eight Southeast Asian countries and offers users safe and affordable transport, food and package delivery, mobile payments and financial services through its Grab mobile app. Grab will work with Toyota on connected car services on the Toyota Mobility Service Platform (MSPF) – such as user-based insurance, financing program and predictive maintenance. 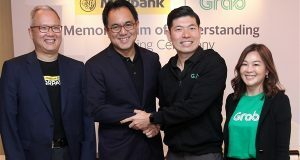 Grab and Toyota will roll-out connected car services, such as telematics-based insurance, which may reduce the cost of insurance premiums for safer Grab drivers. Grab is one of the most frequently used ride hailing platforms in Southeast Asia. Today, the Grab app has been downloaded into over 100 million mobile devices, giving passengers access to over 6.6 million drivers and agents, and the region’s largest land transportation fleet delivering over 6 million rides per day.